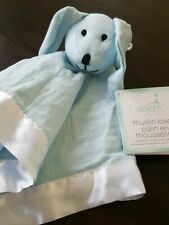 My Taggies Kids II Stars Moon Clouds Blue Sky Baby Security Blanket Lovey 12"
NWT Taggies Kids II Stars Moon Clouds Blue Sky Baby Security Blanket Lovey 12"
This page was last updated: 22-Apr 05:59. Number of bids and bid amounts may be slightly out of date. See each listing for international shipping options and costs.